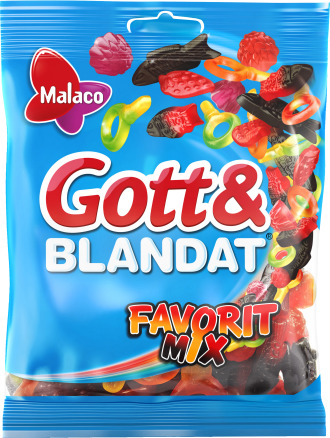 Gott&blandat was launched in Sweden 1979 and quickly became a family favourite. 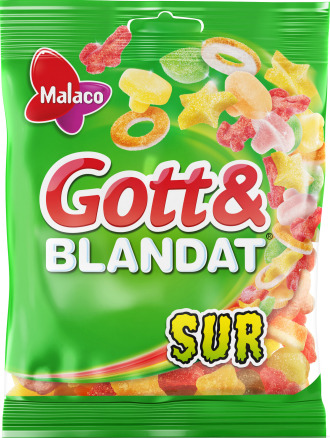 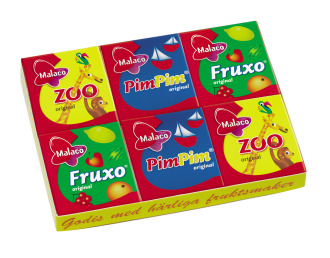 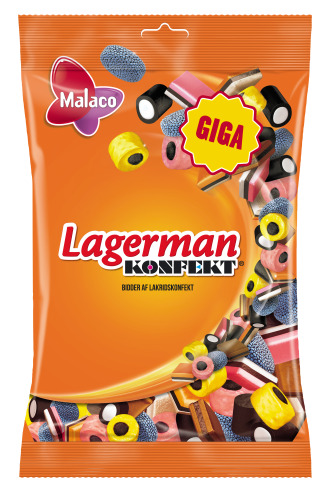 Gott&blandat Original is a unique mix between sweet, fruity and salty candy with a chewy texture. 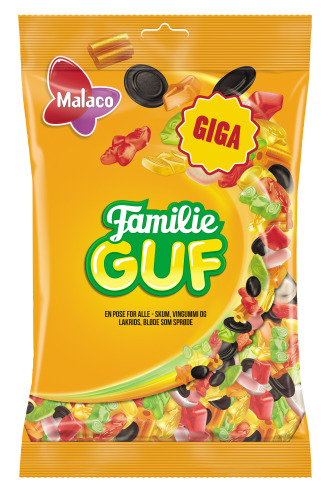 sugar, glucose syrup, starch, glucose-fructose syrup, wheat flour, modified starch, ammonium chloride, liquorice extract, molasses, acid (citric acid), humectants (sorbitol syrup, glycerol), vegetable oil (coconut, palm kernel), flavourings, salt, colours (e153, e140, e120, e100), stabilizer (e471), glazing agent (beeswax). 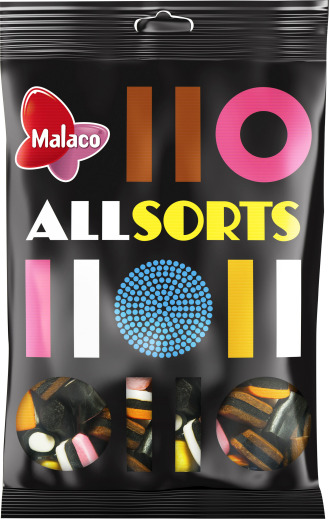 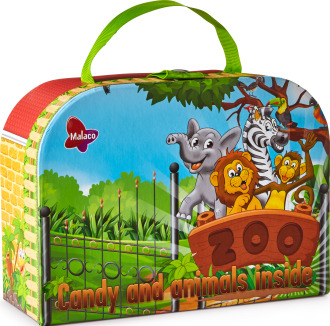 sugar, glucose syrup, glucose-fructose syrup, starch, wheat flour, modified starch, ammonium chloride, molasses, acid (citric acid), liquorice extract, humectants (sorbitol, glycerol), coconut oil, flavourings, salt, colours (e153, e120, e100, e141), glazing agent (beeswax), stabilizer (e471).